England were not at the races at Old Trafford today. Their batting was undone by the very thing that undermined Australia through the summer – seam and swing. But today’s anti climax should not obscure the excellent strides England made in all formats during the summer. They play a dynamic and exciting brand of cricket that is unimaginable from the horrors of the World Cup and the stasis of the Caribbean. The turning point was in mid May. The furore surrounding Kevin Pietersen had not abated, Piers Morgan was still calling Alastair Cook a weasel and England had slumped to 25-3 on the first morning of the first test against New Zealand. In walked Joe Root. Root calmly negotiated his first ball, then strode forward and, without inhibition, drove his second to the cover boundary. It was a stylish stroke of authority. He winked at his partner, Ian Bell, who, though five times more experienced, is far less assertive. Indeed Bell was out soon after. England were 30-4. Undeterred, Root was busy at the crease, looking to be positive. Though naturally a backfoot player, he looked to move forward to drive and soon forced the bowlers to pitch shorter. It played into his hands, and with smooth movements he glided the ball backward of square for boundaries, and unfurled an emphatic pull. 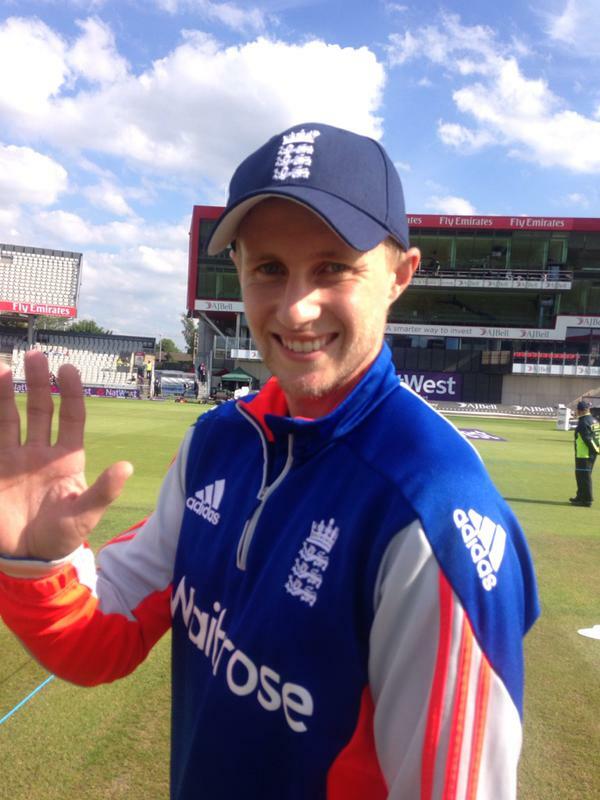 Within an hour England had notched 100 and Root was one shy of fifty. Ben Stokes gained confidence from Root’s assured presence and had begun to challenge the bowling with strong, clean strikes. The pair counterattacked memorably. When Stokes was out at 191 the innings had been transformed, and Root remained to see England to the unexpected riches of 251-6. In England’s second innings, Root played a different sort of innings, coming to the wicket in the first over of the fourth morning. England were three down and still 60 behind. With Cook he negotiated England out of their predicament with deft defence and fine judgement. Again he helped lay the platform for Stokes’ withering assault. He was rudely denied a seventh test century himself as, on 98, he picked out long leg with a flying hook. Almost by accident England had discovered a new freedom. Root embodied their reinvigorated spirit. He is a multi dimensional cricketer who plays with an almost permanent smile. He bats with a jaunty impudence, but with common sense and savvyness too. He made almost 1000 runs during the summer with four hundreds and was at the heart, with Stokes, of everything that England did. They missed him in this one day series. But, like England, he will be refreshed and back soon.